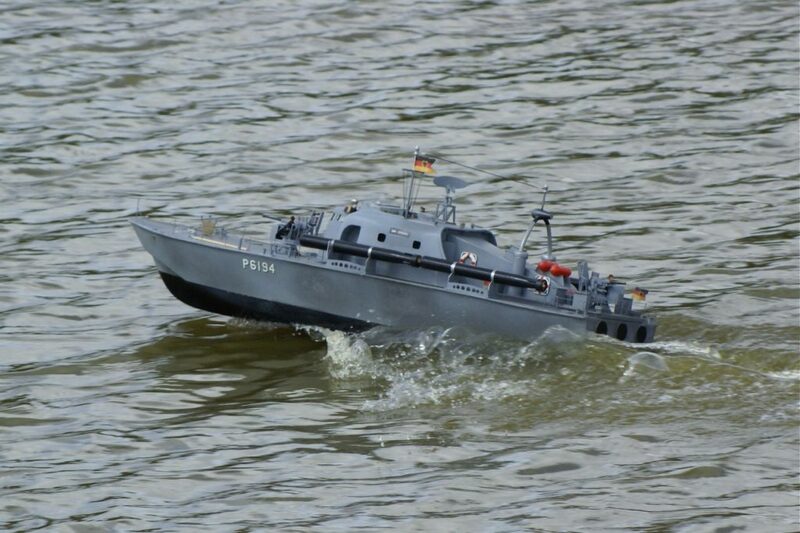 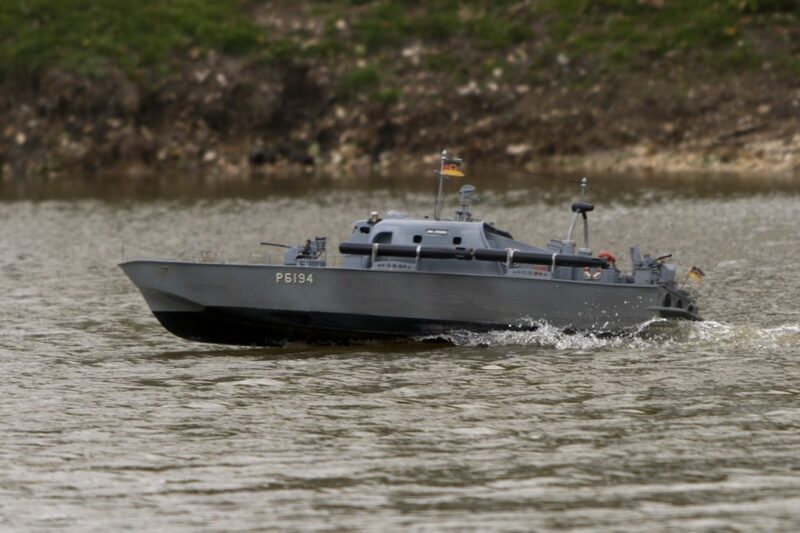 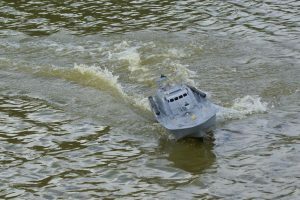 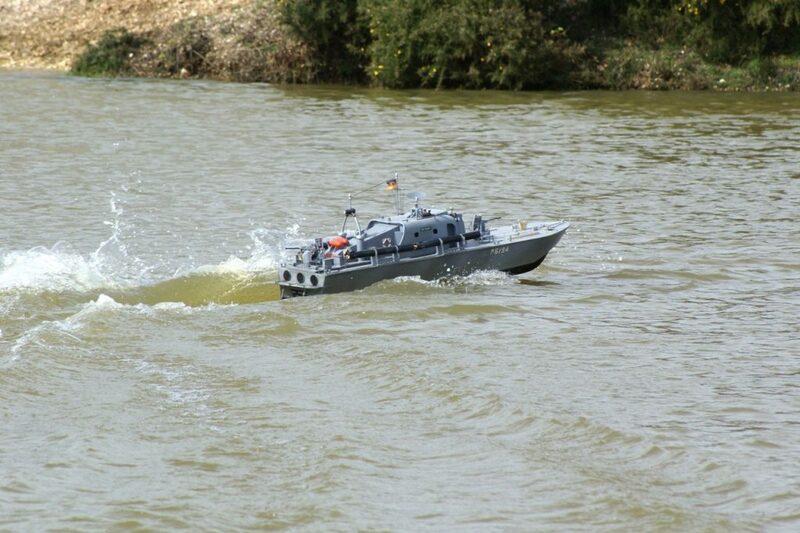 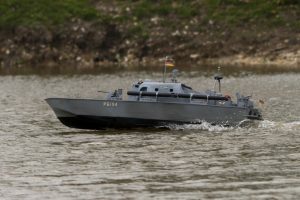 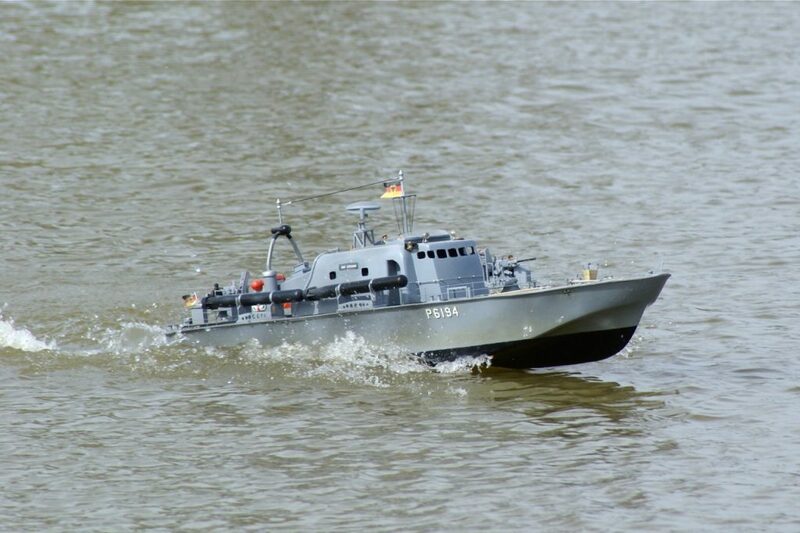 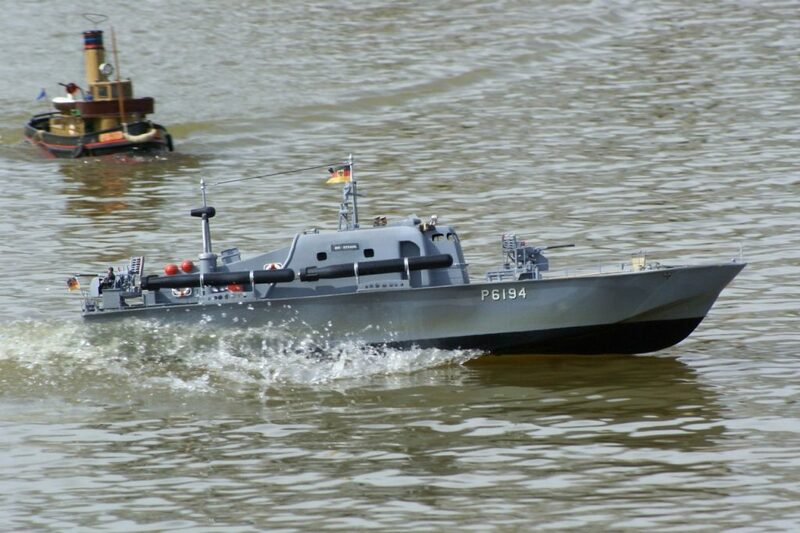 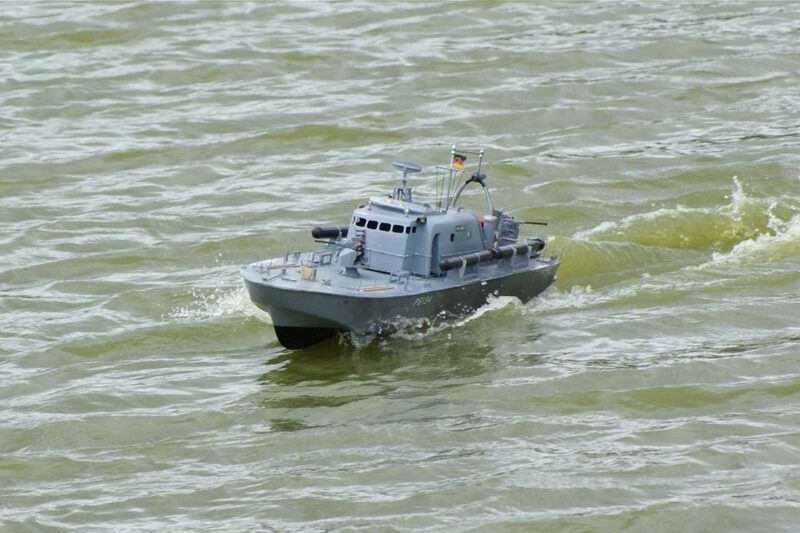 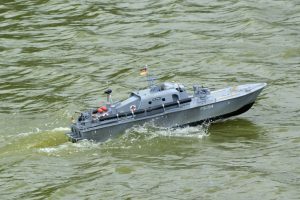 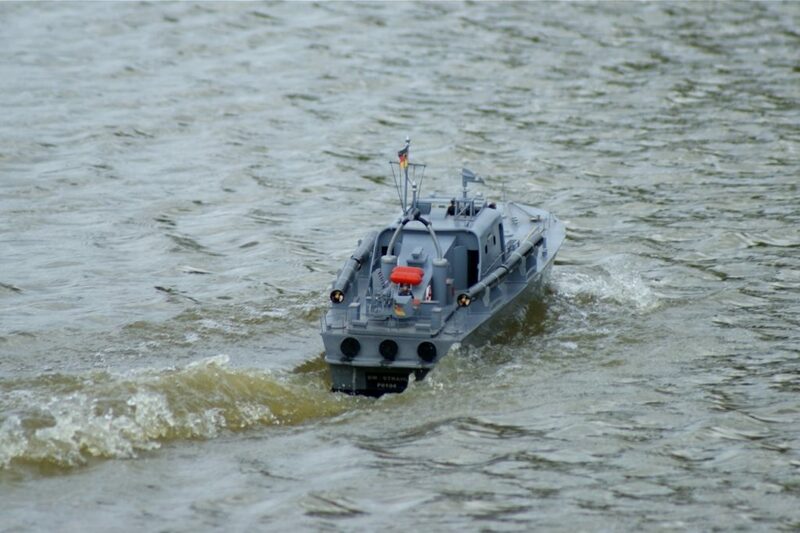 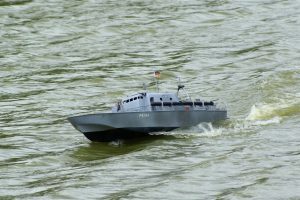 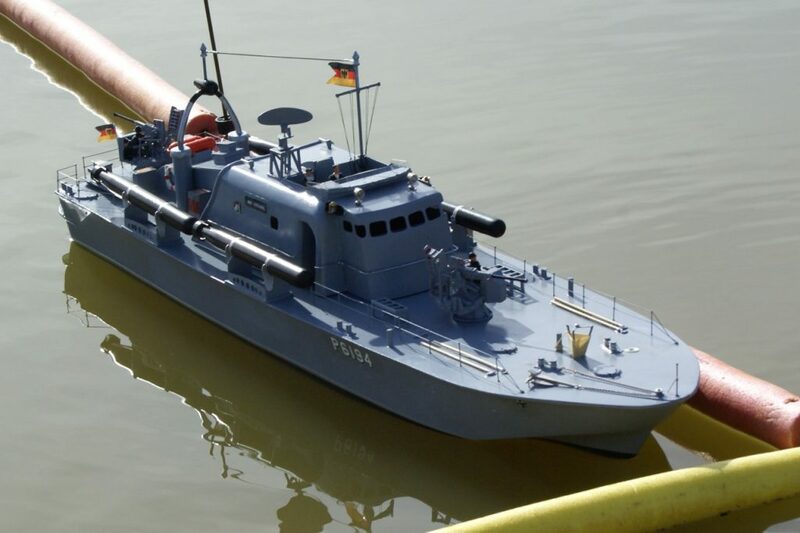 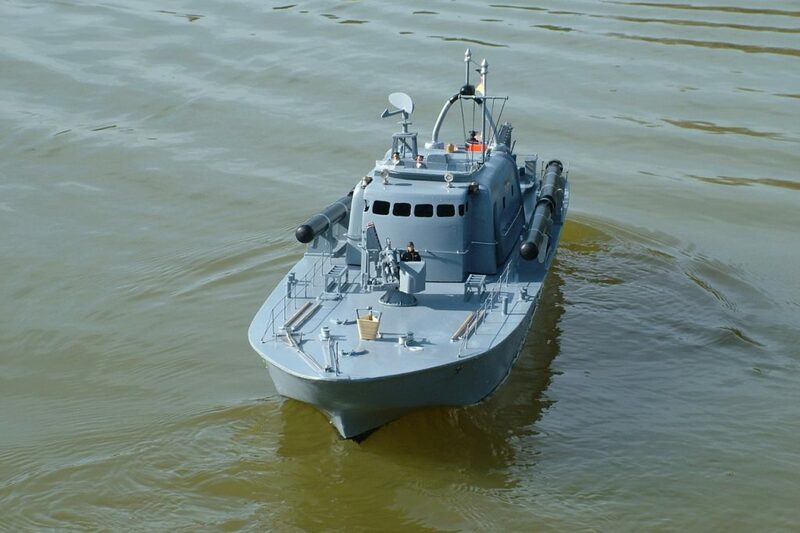 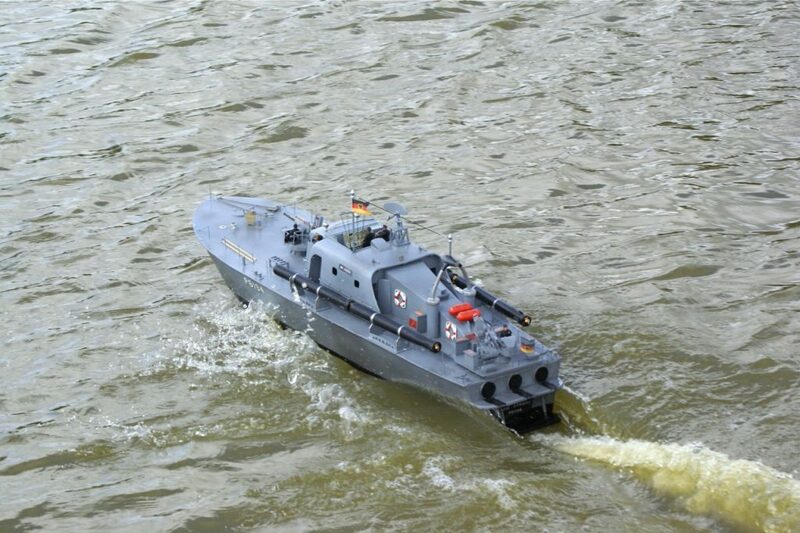 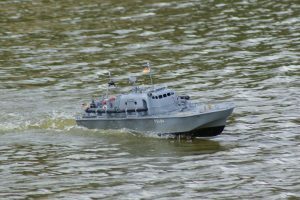 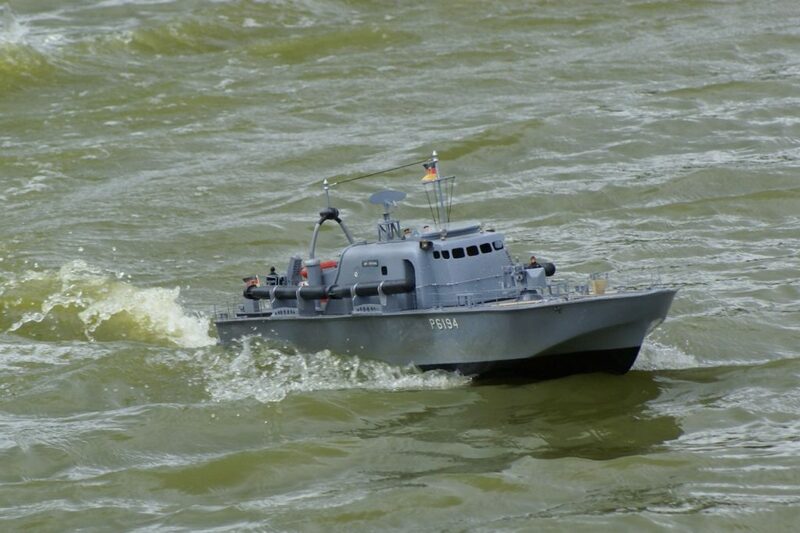 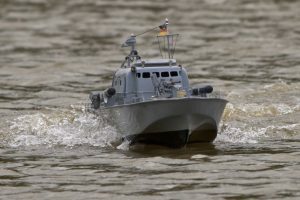 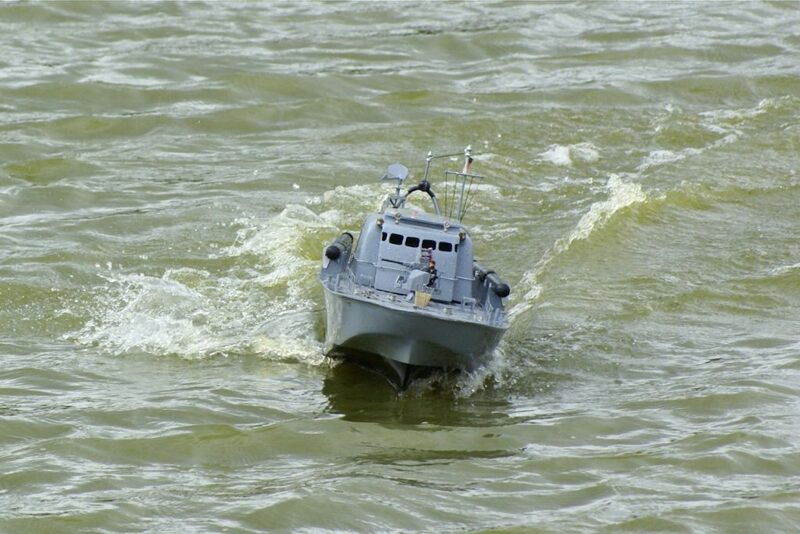 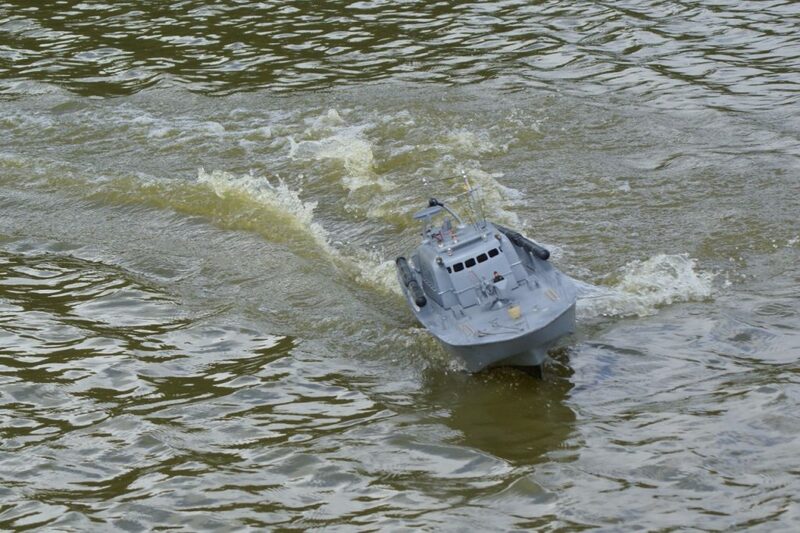 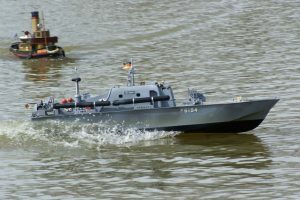 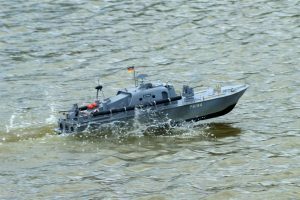 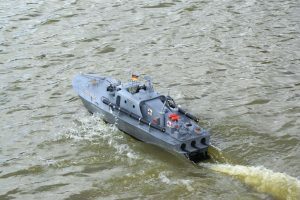 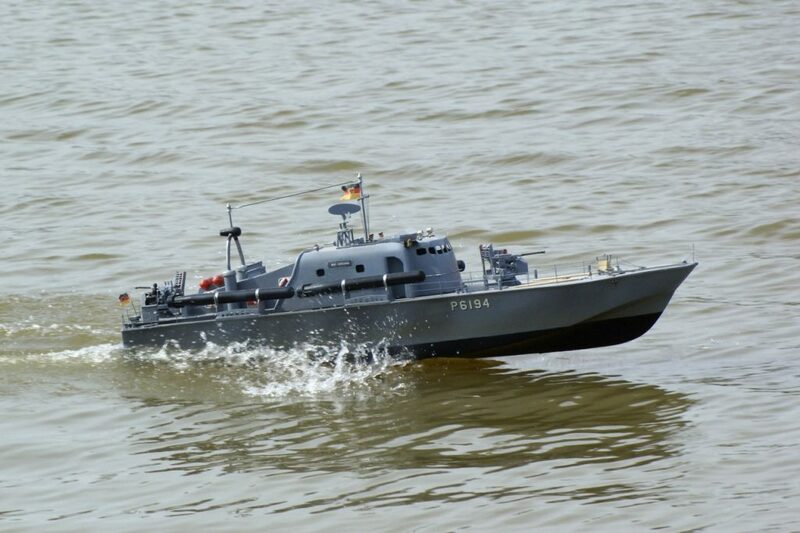 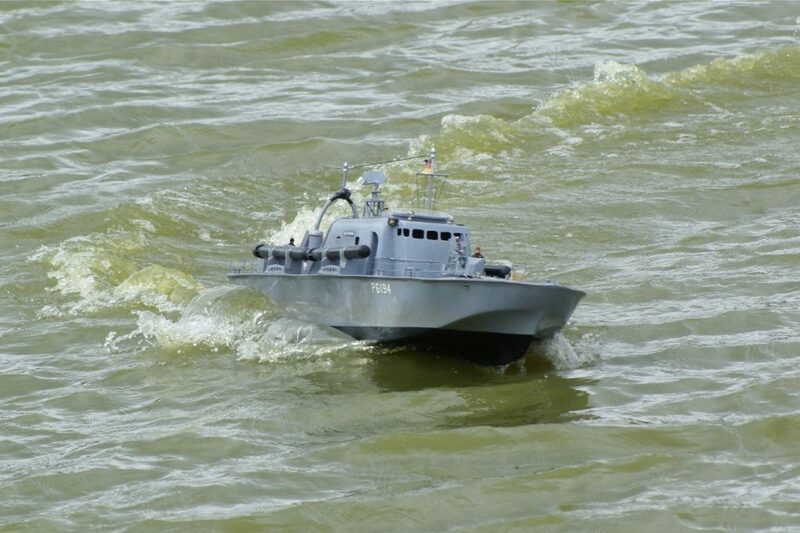 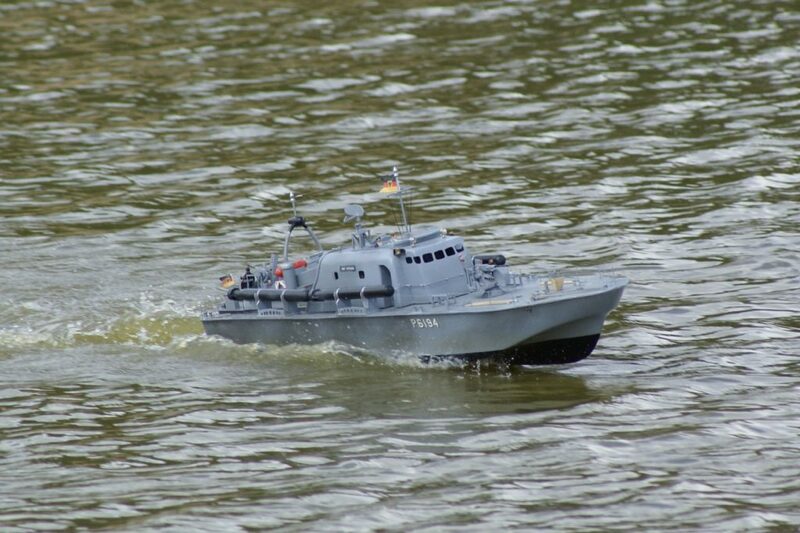 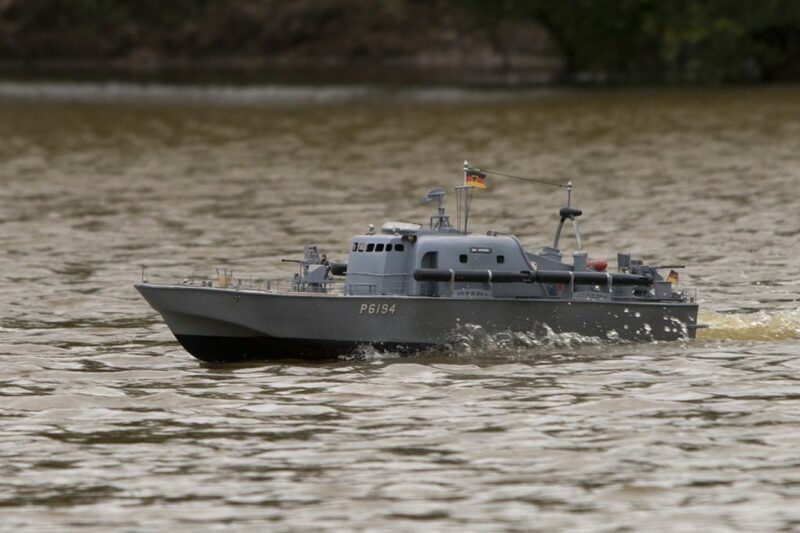 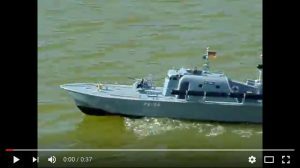 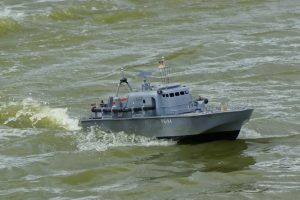 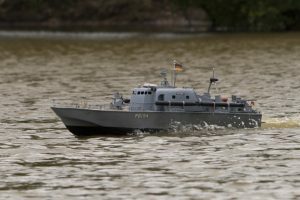 German Motor Torpedo Boat; this model by Ray Hellicar is fitted with hi tech control systems for rotating guns, sounds, and lights. 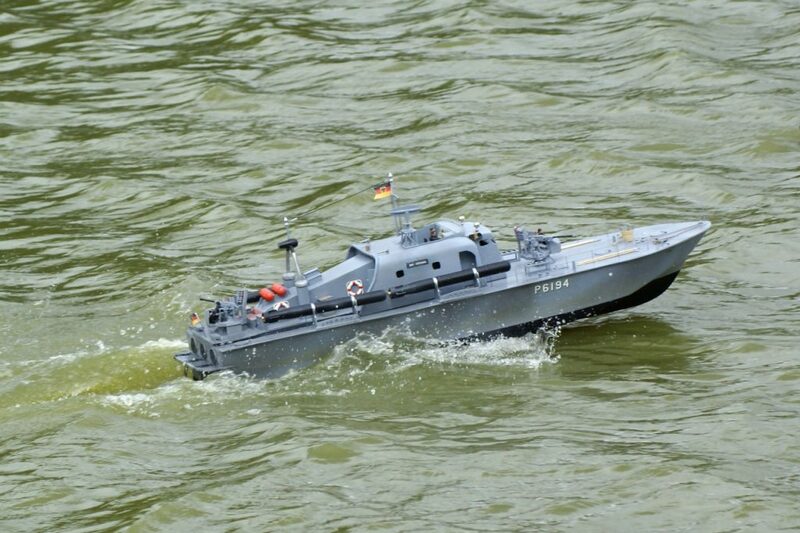 Ray’s comments: “Two of my recent models, ‘STRAHL’ and ‘MTB 794’, have high tech control systems fitted that enable these models to perform many tasks not normally within the scope of conventional model control systems. 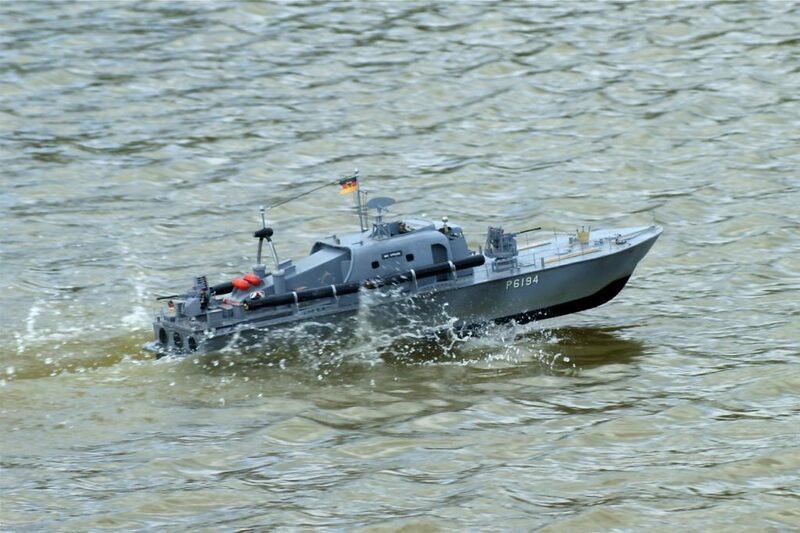 “Radio Control: Whilst these models use conventional /commercial radio control systems it is the implementation of these control systems that sets these models apart from normal models. 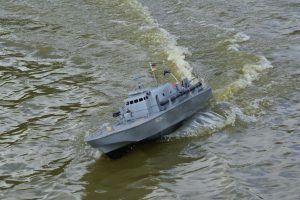 “Automated Control Systems: Each of these models contain as many as four microcomputers, in the form of PIC’s (programmable interface controllers), that take the basic commands received by the radio control receiver and perform pre-programmed functions as a response to these instructions. 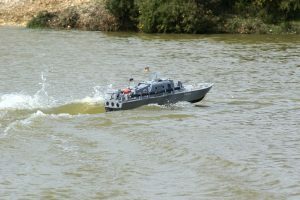 For example on commanding a gun to rotate, the computer system instructs the gun to rotate at a predefined speed to a pre-defined rotational angle and upon arrival at that point it commands another PIC to switch on the audio system and play a pre-programmed audio recording of an actual gun of that type being fired. Each gun has its own PIC and its own pre-recorded sound effect. Additionally a Morse Message or other light or sound effects can be introduced at will. 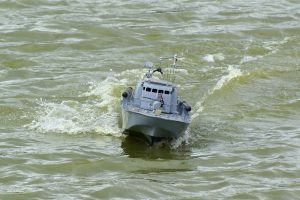 “Automated Display System or Model Display Unit (MDU): Each of these models have MDU’s fitted that run a complete cycle of demonstration features on the vessel on command of a single button press. 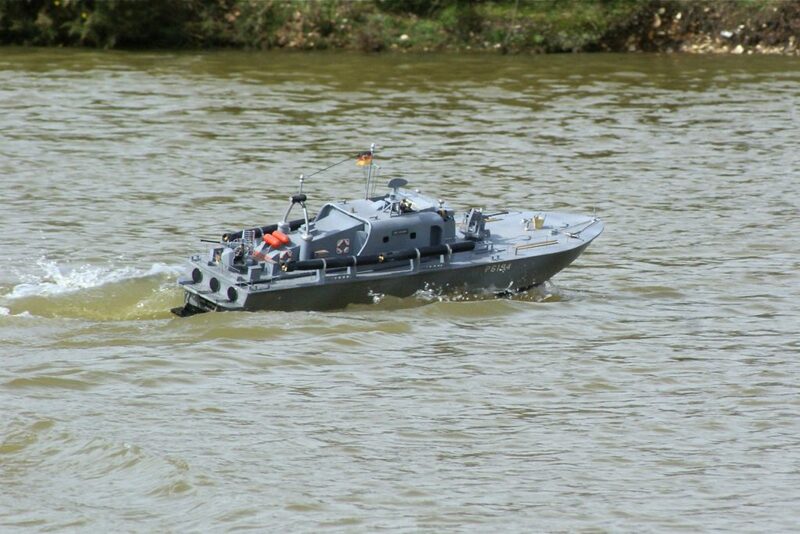 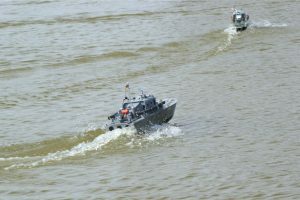 The MDU replaces the Radio Control Receiver and takes command of all the vessels systems and displays them in a predefined programme.